I recently participated in Cal Newport’s 30-Day Digital Declutter Experiment. The goal was to remove all optional digital distractions in order to clarify the things that truly matter, afterward intentionally adding the truly valuable ones back in and letting the others go. You can read more about the details of how I implemented the experiment here. I was particularly interested in how a digital declutter might affect my productivity and work life. Below are the 3 most important lessons I learned and some brief, practical tips on how to apply them to your own life. LESSON 1: A Little Less Distracted Can Mean a Lot More Productive. As Cal Newport talks about in Deep Work, our ability to do meaningful, cognitively demanding work requires an almost neurotic level of distraction elimination/resistance. Every weekday morning I try to spend at least an hour writing. No research, editing, or reading. Just writing. Feel tired, check Twitter for 4 or 5 minutes. Feel guilty about being on Twitter and start writing again. Feel thirsty, decide “it’s time for a break,” and go get a glass of water or make a cup of tea. Okay, so you lose 15 minutes of writing to distraction. But writing for 45 minutes every day is still pretty good, right? Feel tired and think to check Twitter but remind myself that I can’t because it’s not even on my phone anymore and start writing again. I catch myself, return to my writing, and finish the hour out strong. Cool! By eliminating distractions you were able to stick with the writing and actually get a full hour’s worth in each day. Look up at the clock, a cool idea for the opening of the next paragraph pops into my head, back to writing. Hit the final period on a section of the article, look up and realize that I’ve been writing for 70 minutes. I’m skeptical, but if that’s really true maybe this whole digital distraction thing is more significant than I thought. Of course! Don’t take my word for—try it yourself! In my experience, as a direct result of the digital declutter, I’m writing much more than I used to and I don’t feel as tired or distracted while writing. But the biggest change was Weeks 3–4: While my writing hour looked pretty similar to Week 2, I started to notice that the amount of time I spent editing my articles afterward was getting much shorter. Normally it takes several rounds of editing and reorganizing to get an article as concise and coherent as I like. But after just a couple of weeks eliminating digital distractions and practicing resisting the temptation to take breaks by checking social media or email, the initial quality of my writing seemed to be improving as well as the quantity. Even if the total time lost to digital distraction is modest, there are often subtle costs in terms of quality. By training ourselves to resist the temptation of digital distraction, both the quantity and quality of our work can improve considerably. Pick one important/challenging activity or aspect of your work that you’d like to be more productive on. For a week, try to work straight through on it for 30 minutes without taking even a small break or giving into a short temptation to distract. Then bump it up to 45 minutes the next week. Then 60 the following week. 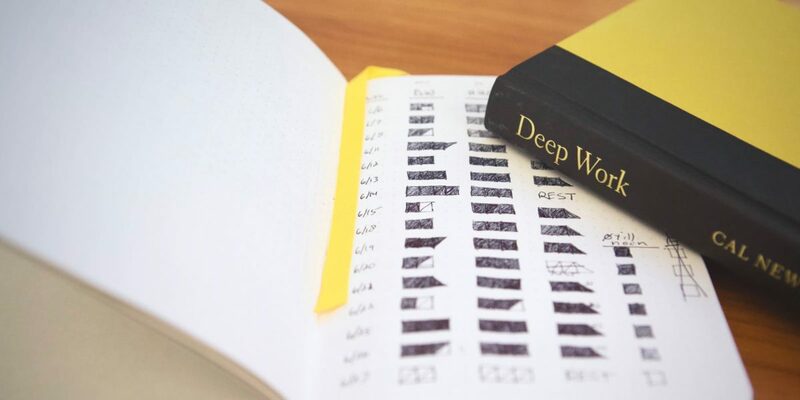 Within a month, you’ll have an established a Deep Work habit. LESSON 2: Just Because You Enjoy Something Doesn’t Mean You’ll Miss It When It’s Gone. If even small distractions like checking Twitter for a few minutes while we work can have such negative effects on our productivity, maybe we should do some more hunting for distractions we could eliminate or reign in more…? I’ve never been the kind of person who was constantly checking in on Facebook or Snapchat, or plugged into the Twitter news cycle 24/7. But I do spend a not-insignificant amount of time checking Instagram and ESPN. On an average day, I probably “check in” 10 or 15 times between those two apps, maybe spending a total of 20 minutes a day on them. I rationalize this to myself because neither one seemed as addictive or negative as, say, Facebook or Twitter. In my mind, they were small pleasures that didn’t lead to lots of outrage and negativity. They also didn’t seem like excessive wastes of time. I just browsed photos of my friends’ kids and checked in on how unreal Tom Brady and LeBron James were each week. But during my 30-day digital declutter, I completely abstained from both. I deleted both apps from my phone and didn’t check either one once (I also don’t have TV and didn’t watch any sports). I didn’t even know who was in the final round of the NFL playoff until I happened to see a clip of a halftime show on a TV at the bowling alley. Now, uber sports fan I am not, but for me to not even know who the final four teams in the NFL playoffs were was pretty unusual. That probably hasn’t been the case since I was in early elementary school! The strange thing is, I realized I didn’t miss either of them. At all. I basically never thought about Instagram or ESPN (or sports generally) once they were off my phone’s home screen. Which made me wonder: If I don’t miss something when it’s gone for a month, how valuable can it really be? We often decide to include or maintain activities in our lives because they’re enjoyable. But better selection criteria might be, only keep those things that you truly miss when they’re gone. Lesson 1 and 2 combined illustrate how many seemingly small pleasures/distractions we maintain A) Hurt our productivity more than we realize, and B) Aren’t nearly as valuable or essential as they seem at first blush. Make a list of 12 activities in your life that you enjoy or find mildly useful but are not truly necessary. Then, once a month, abstain from one of them completely and see if you miss it. If not, let it go. LESSON 3: Placing Deliberate Constraints on Our Work Leads to Increased Creativity & Insight. By setting explicit limits on our “work mode mind” we become more sensitive to creative insights offered up by our unconscious mind. I was always the kind of person who enjoyed school. I started full-time preschool at 3 years old and graduated from college when I was 21. I then took two years and taught middle school, followed by another 2 years getting a masters, then 4 years getting my PhD. If you count my two years teaching, I’ve spent 27 of my 32 years of life in school. And while I’ve largely enjoyed that time (and benefited hugely from it), there was one part of school I consistently despised: There was always more work you could (and probably should) be doing. Whether it was studying more, getting started on that term paper, or collecting more data for a research project, I always had that nagging, guilty feeling that I could—and therefore should—be doing something more. Even weekends, holidays, and summer vacations weren’t immune (seemed like there was always a standardized test I had to start studying for or a CV to update, etc.). Through all this, I often had this itch in the back of my brain that if I didn’t constantly have a 20-item to-do list I was frantically working through, I would be able to think more deeply and carefully about things. But despite what they claim in their marketing material, most schools prioritize just getting stuff done over getting stuff done well. Finally, at age 30, I found myself working and not in a school. And my job was (and is) one of those rare “true” 9 to 5s. With extremely infrequent exceptions, I never have to think about work or feel guilty about not doing a little bit more before 9:00 am and after 5:00 pm. I certainly don’t have to think about it on the weekends or holidays. And let me say, it feels glorious! Even though I don’t have to think about my job after work, my mind has been conditioned by 25+ years of school to be always on: thinking, analyzing, predicting, problem-solving, comparing and contrasting, summarizing, etc. All those mental habits that make us good at school and in our jobs are surprisingly hard to switch off after 5:00 pm, even if we have the luxury of not being in school anymore or having a job that encourages work-life balance. By deliberately putting boundaries around when and how I use technology… I found myself having a lot more novel and creative ideas. I think one of the reasons we find it hard to completely unplug after work and in our downtime is that the internet — aided by our smartphones which keep us constantly connected to it — encourages us to remain in that mindset. Having easy access to email, Twitter, Facebook, CNN, and Reddit means we have a steady supply of novel and interesting things for our minds to chew on intellectually. And while browsing Facebook seems like a much different activity than organizing a meeting agenda, putting together a lesson plan, analyzing financial models in Excel, or whatever it is you do in your day job, to your mind it’s not that different. Having spent a month mostly avoiding any kind of distracting or optional digital technology use outside of a few select times during the work day, I’m realizing that there’s a large psychological cost associated with keeping our minds in perpetual work mode: Creativity and Unconscious Insights. By deliberately putting boundaries around when and how I use technology and the internet (basically not at all on the weekends and not between 5:00 pm and 9:00 am on weekdays), I found myself having a lot more novel and creative ideas. I keep a notes file on my phone for potential article or book ideas that occur to me throughout the day. Since beginning my digital declutter, it has literally quadrupled in size compared to where it was a month ago (I went back and looked at my iCloud backup of the notes file to check). Whether my mind is literally generating more ideas or I’m simply more aware of them because I’m not so distracted by “work mode mind”, I’m not sure. But I know that I like it. A lot. 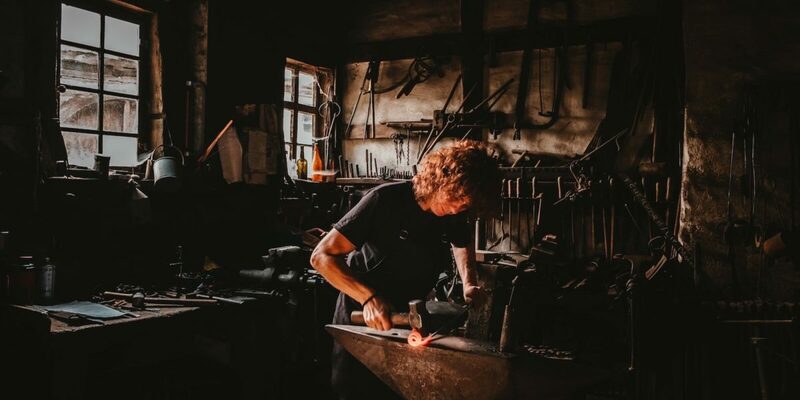 By putting explicit boundaries on “work mode mind” — especially by limiting or fencing in our digital technology usage — we allow ourselves to be more receptive to creative insights from our non-conscious mind. To experiment with this in a small way, try not doing anything on your commute. No radio, podcasts, phone calls, etc. Don’t try and think about anything in particular — no work mode mind for the brief 20 or 30 minutes each way to and from work. Commit to trying it for at least a week and see if you notice anything.